GV transformed a one-eighth mile long axis, extending south from Tappan Square, the historic center of the campus and Town. 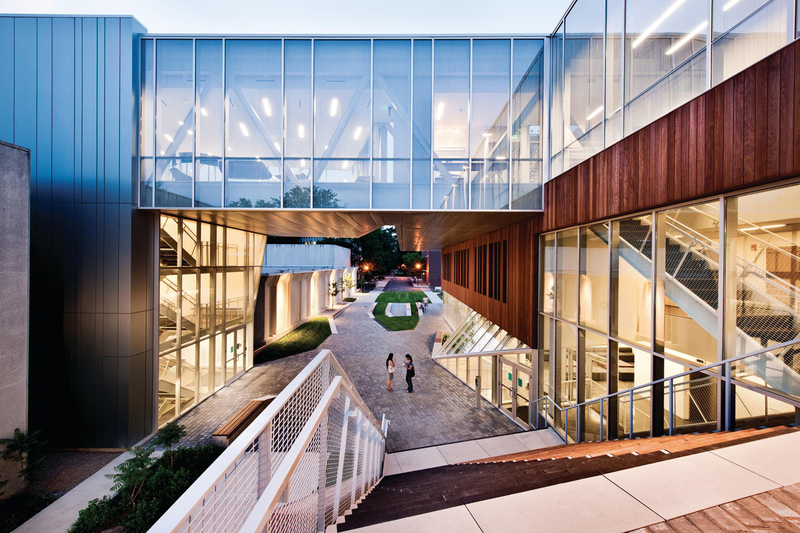 The new landscape knits the campus with Oberlin’s downtown. The axis alternates from a simple green, to a sculpted plaza, to a string of gardens, all open to the public. The new landscape was designed in tandem with a new three-story jazz building. A further series of outdoor stairs, terraces, and gardens extend onto the building’s upper levels.